Our attorneys are ready to respond promptly by phone or email. With just a brief chat or email exchange, we can give you a basic idea of what we can do for you. You may be relieved to find out just how easy and effective bankruptcy could be and you may feel your stress level lower right away. You will also get to know us see that we are knowledgeable and understanding, ready to help you as we have thousands of other clients in financial distress. After a brief chat, we can set up a free consultation at a convenient time and place. 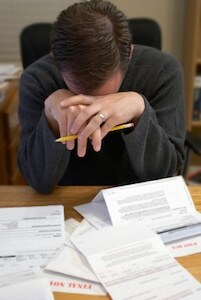 We can give you a basic idea of what kind of bankruptcy you will file and how much it will cost. Of course, we need to sit down and meet face to face to be sure. We would not be serving you well by making any promises during our brief initial contact. Nonetheless, we can give you a basic idea of what we can most likely do for you. You can learn how a bankruptcy will improve your cash flow immediately, protect your possession and eliminate debt to give you a fresh start. We can answer some basic questions about what kind of property can be protected and what kind of debt can be discharged. We can also give you a general idea of how quickly we can file your case and how much it will cost.